The Tavistock Institute, in Sussex, England, describes itself as a nonprofit charity that applies social science to contemporary issues and problems. But this book posits that it is the world’s center for mass brainwashing and social engineering activities. It grew from a somewhat crude beginning at Wellington House into a sophisticated organization that was to shape the destiny of the entire planet, and in the process, change the paradigm of modern society. In this eye-opening work, both the Tavistock network and the methods of brainwashing and psychological warfare are uncovered. 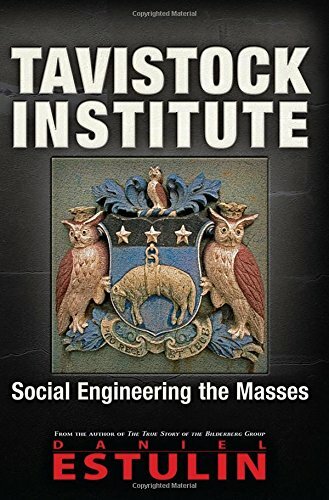 With connections to U.S. research institutes, think tanks, and the drug industry, the Tavistock has a large reach, and Tavistock Institute attempts to show that the conspiracy is real, who is behind it, what its final long term objectives are, and how we the people can stop them.